The Personal Injury Lawyers of Madalon Law understand that an accident is something that you don’t see coming. Being injured after an accident can leave you rattled, physically limited and confused on what steps to take next – common for injury victims. Not knowing what steps to take is something the insurance companies count on. This is why it is important to speak to an attorney and get a better understanding of your rights and what you may be able to recover. The State of Florida has a specific set of Personal Injury laws that entitle accident victims to recover for their losses. Our Accident Attorneys understand these laws and will aggressively fight for your rights as if they were our own. 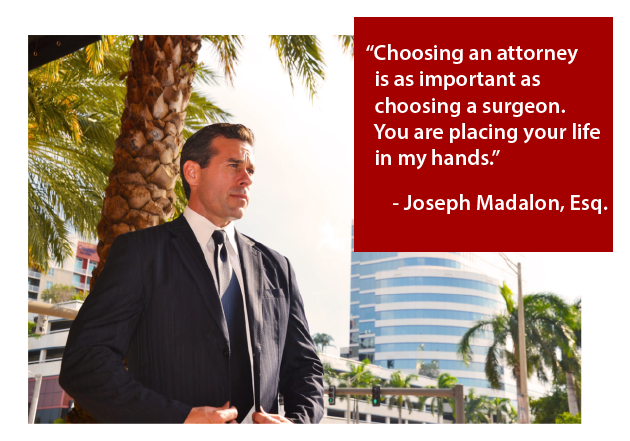 Madalon Law’s mission is to protect and fight for the rights of Accident and Injury victims in Broward, Miami-Dade, Palm Beach and the entire State of Florida. It’s common for the party who is at fault and/or their insurance company to suggest settling things quickly without speaking to an attorney. Many people simply go along to make things “quick and easy” only to find out later that they may have a slipped disc or other injury that is not felt right away. Please remember that you never asked to be injured due to someone else’s negligence. Taking the right steps after an accident can make all the difference. This starts with having a better understanding of your accident and your rights to compensation. Our goal is to learn about your case, answer your questions and explain to you the options you may have. 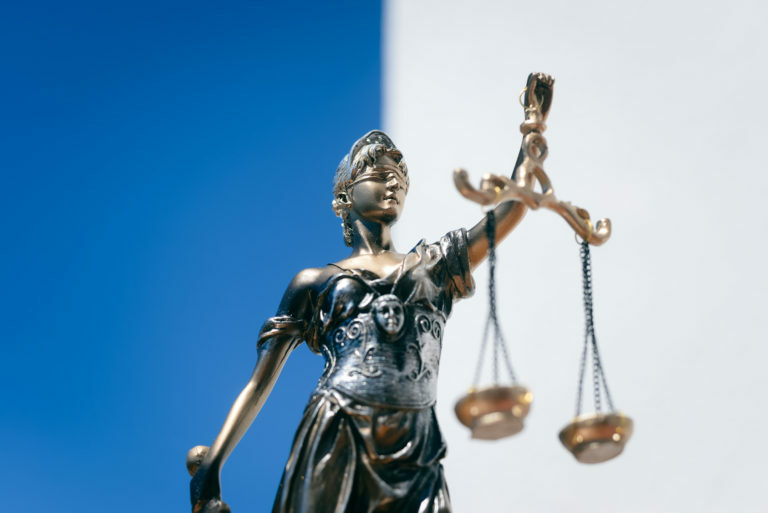 Personal injury laws apply to any type of physical injuries your body sustains from being involved in an accident, as well as other injuries such as loss of quality of life or financial loss. 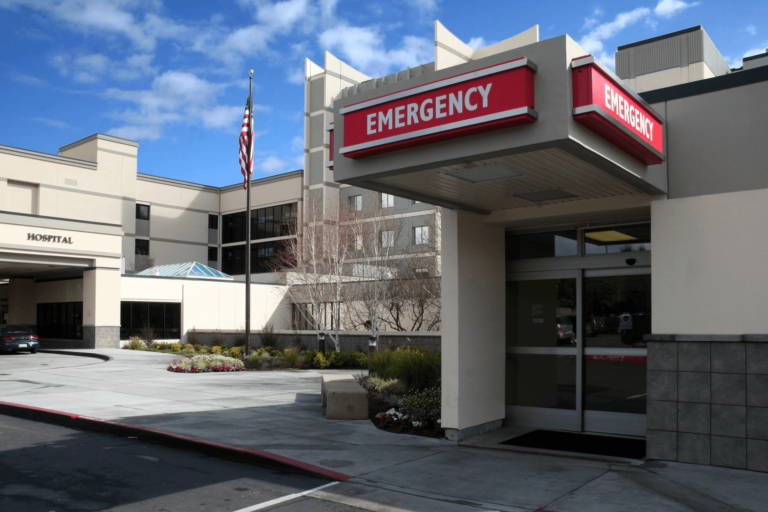 The personal injury attorneys at Madalon Law represent injured clients to help them achieve peace of mind after a traumatic event in their life. 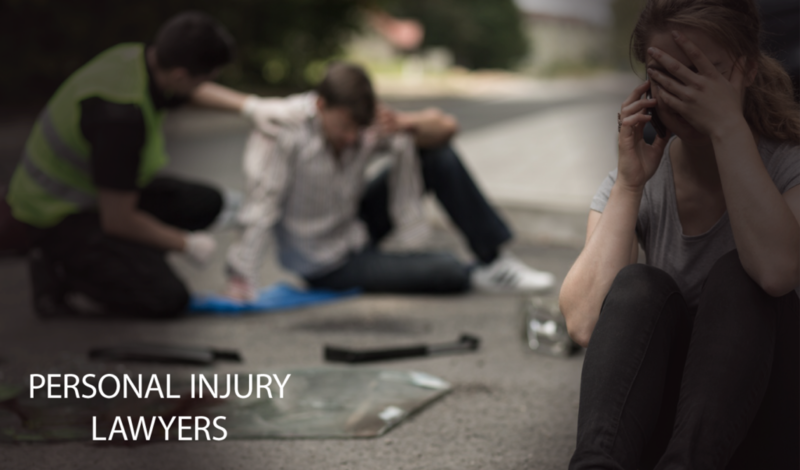 To us, you are more than just an injured individual, we see you as a person that has put their life on “hold” in order to deal with the consequences of being injured. We are here to make you whole again, help you recover and move on with life. 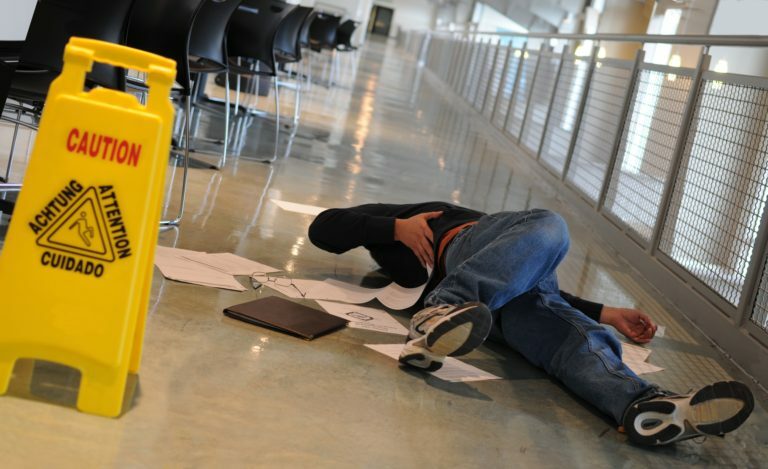 As an accident victim, you have a right to ask for compensation for all of your injuries. Madalon Law handles all personal injury claims on a contingency fee basis. This means you will not owe us our fees or costs if we are unable to recover compensation on your behalf. We do not get paid unless you get paid. Contact us today for a free consultation and one of our personal injury attorneys will review your case for you. We can meet with you at our office or your home to help you determine if you may be entitled to compensation for your injuries. We proudly serve the entire State of Florida.